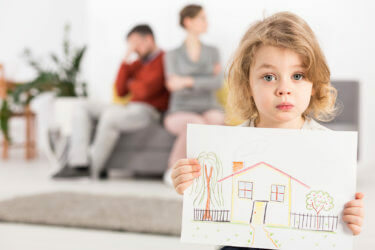 At Stenzel Clinical, we hear that sentence a lot from parents battling divorce guilt. But remember this: Divorce doesn’t ruin kids. Bad parenting does. Good parents can raise amazing children, even after a marriage has come to an end. Here are some tips on how to do it. 1. Give them the boundaries they crave. A natural parenting reaction during and after a divorce is to become more lenient with the kids and to spoil them a bit. This is precisely the opposite of what they need. Knowing their parents are divorcing rocks their world and virtually guarantees anxiety. Being given everything amplifies the awareness that things have changed and only increases their concerns. Instead of spoiling them, give children the limits they subconsciously crave. Rules allow them to relax within a familiar structure and be kids. This diligent parenting is exhausting work, and it’s thankless in the moment, but good parental boundaries help kids develop into happy, healthy adults. In a perfect world, both partners will be willing to work together for the mutual benefit of their children. If this is your case, take every opportunity to co-parent and share decisions that affect your children openly and calmly. Sometimes, one parent may be indifferent or even use the children as pawns against the other. Do not compensate for your former partner by being the “good cop” to their “bad cop.” A good rule in these situations is to parent like the other parent doesn’t exist. Try to take the high road and don’t stoop to their level. Work hard to be the good parent in their lives. No matter how amicable the split was, chances are there will be some animosity towards your former partner. Remember, if the other person’s parenting skills are less than perfect, you can still add stability through your use of good parenting practices. One good parent is much, much better than none. Because divorce is so prevalent, many of your children’s friends have parents who divorced. Your kids will likely have more peer support than think. Eventually, the situation will become the new normal. If you see any overt signs such as inappropriate anger, acting out or falling grades, consider having your son or daughter talk to an experienced counselor. An objective viewpoint from someone one who doesn’t take sides often proves helpful. At Stenzel Clinical, we have therapists on staff who specialize in these exact situations. Good parenting is a ton of work. Even if you have joint custody, you will be doing more without someone to share the duties. You may be working harder to make ends meet. You’re going to be tired. A lot! Take every advantage of opportunities to be good to yourself. Meet with family and friends. Do things you enjoy doing (with or without your children). Do this freely and without guilt. You also may have trouble coping with the divorce. Talking to someone who is objective might help you as well. Our counselors at Stenzel would be happy to talk with you as you learn how to re-invent yourself as a single parent. If this sounds helpful to you, just click CONTACT at the top of our website.